Bebe Coronel the brother of Luis Coronel is already a celebrity on social networks and is launched to conquer the world of music with a very personal style. Only with his photos has already become a real sensation on Instagram, where he has more than 300,000 followers, but now Luis Coronel’s older brother has launched himself as a music star. He recently presented his first single, “Vestido”, and also the video of the song, which in just 72 hours was seen more than 100,000 times. The theme, available on Apple and Pandora, is constantly heard on the radio and often happens at night clubs, was composed by the Grammy nominee Marty James, who participated in the remix of “Despacito” played by Luis Fonsi and Daddy Yankee with Justin Bieber. “Grammy” nominee Frankie J, multi-platinum recording artist Baby Bash and Bebe’s own brother, Luis Coronel, also collaborated in the creation of “Vestido”. The video shows the 26-year-old Arizona native appreciating the provocative clothes of a very attractive girl with whom he seems to have a romantic relationship. 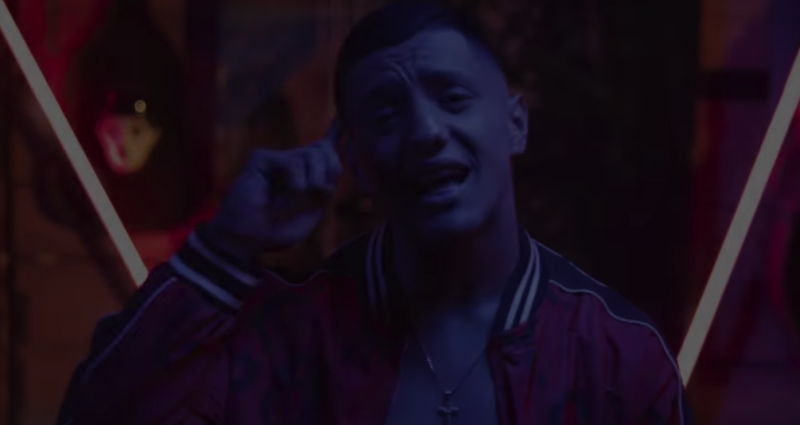 With a combination of techno, pop and urban genre, “Vestido” is the best demonstration that Bebe has chosen a path very different from that of Luis, who at 22 is one of the most important figures of regional Mexican music. In several interviews he has indicated that he is not interested in competing with him. Moreover, he has advanced that evaluates the possibility of creating a reality show in which he would also participate. The son of Mexican immigrants already had to talk last year when he got the lead role of Danny Zuko in the new “Grease” play in which his younger brother also participated, which received the praise of the critics, who highlighted both his good work as an actor as his quality to interpret the popular songs of the Broadway musical taken to the movies by John Travolta and Olivia Newton John. Determined to have a second career in film, Bebe plans to leave his hometown to settle in Los Angeles, while studying to improve his Spanish and trained to participate in auditions.